Get the CRT look for your E9X M3 without the crazy price tag! Carbon Fiber parts always add some great class and style and the unique CRT Design will definitely stand out from your typical M3. 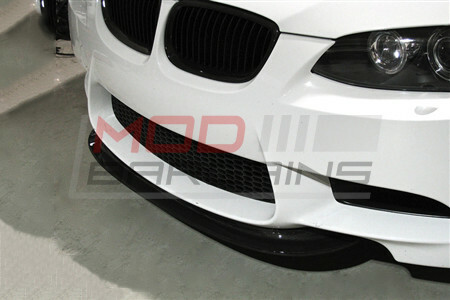 Set your M3 apart from the boring look that is the stock front bumper. 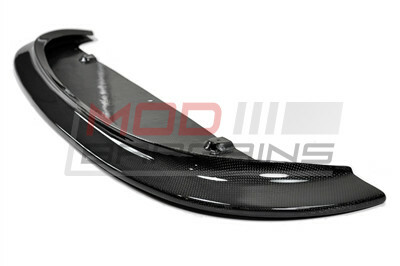 Add a classy and attention grabbing look with the beautiful Carbon Fiber Lip. The Carbon Fiber CRT Aero Front Lip for the E9X M3 is based on the limited edition M3 CRT (Carbon Racing Technologies) Lightweight Sedan. The Lip gives your M3 a very unique and sport look that really stands out from other aftermarket lips and really sets the car apart from other stock M3's. Carbon Fiber is always a classy upgrade for your M3.